You want your wedding to be a reflection of you and your fiancé, but how do you do that? How do you personalize your wedding? Well, here’s 6 tips to help! Pick a wedding venue that suits you. If you’re a couple who spends most of your time outdoors then look for an outdoor venue were you’re surrounded by nature and where you’re most comfortable. On the opposite end, if you’re a couple who doesn’t enjoy spending time outdoors then don’t choose an outdoor venue. Incorporate your hobbies. 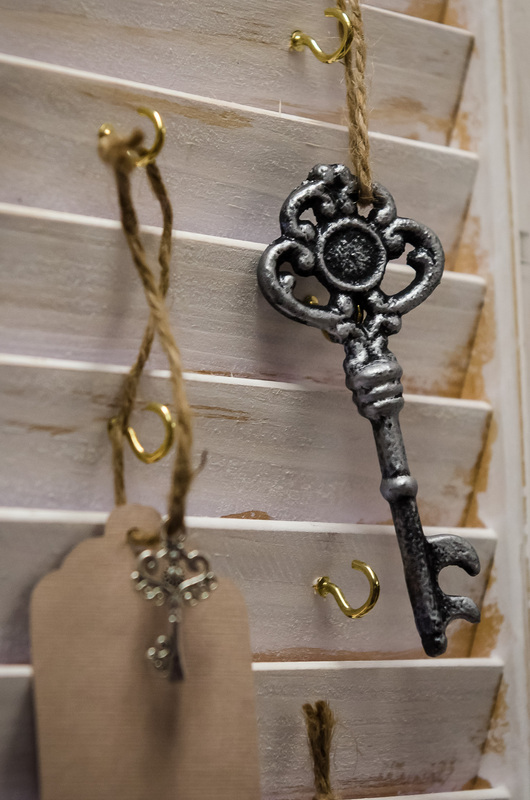 Your hobbies don’t need to be the theme of your wedding but you can have little touches and hints of them throughout. This could be through colour, favours or decorations. If you love sailing and spending time on the water you can have little touches of nautical decor in your decorations and varying colours of blue as well. Or if you love spending time with animals or on the farm, you can incorporate more neutral colours like browns and greens and have more rustic decorations with wildflowers and wood signs. Share the details of your love story. Not everyone in your family (especially your extended family) knows all of the details about how you and your fiancé met, or how you got engaged either. 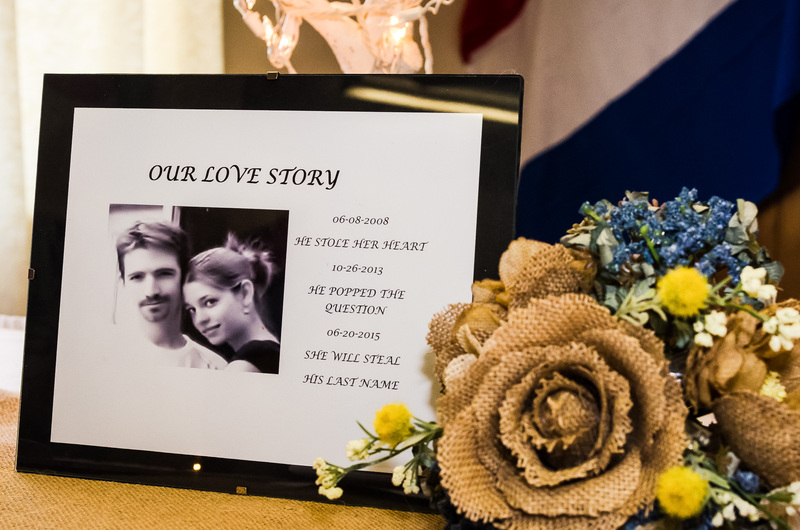 You can share these details through a cute little infographic on your program, or get creative with signs to create a storyboard of your wedding story timeline. These are things like how and when you met, how and when you got engaged and other important dates and memories you want to share. Customize the table numbers with names. You can create custom table names out of anything that has a lot of meaning to you as a couple. This could be your favourite hobbies, places you lived, places you’ve travelled or vacationed at, or even favourite song titles. Take this one step farther with adding photos that relate to your table name on each table. Have food that you love. Think of your favourite foods and incorporate them into your menu or even appetizers; this is a great way to put your personalities into your wedding. You can be guaranteed there will be a sweet treat section at my wedding since everyone knows I love sweets! Last but not least, wedding favours! This is an easy one to personalize because you have so many options. If you’re into gardening your favour could be a packet of seeds or maybe a little plant, or if you’re into sweets it could be a little box of chocolates. The possibilities are endless when it comes to favours! Whatever you decide on you can easily personalize it with a custom thank you message, your names and your wedding date. Most of these ideas are fairly simple and don’t require a whole lot of effort to do, just a little time to think about them and what suits you and your fiancé. What are some ways you are personalizing, or have personalized, your wedding? Feel free to share your suggestions for other brides to be inspired by! Great tips on how to personalize a wedding! I love the table names idea!! That’s cute! These are excellent ideas, thank you for sharing! Great tips! I love weddings that feel like the couple! I always love seeing the different ways that couples personalize their wedding! Especially through wedding favors!